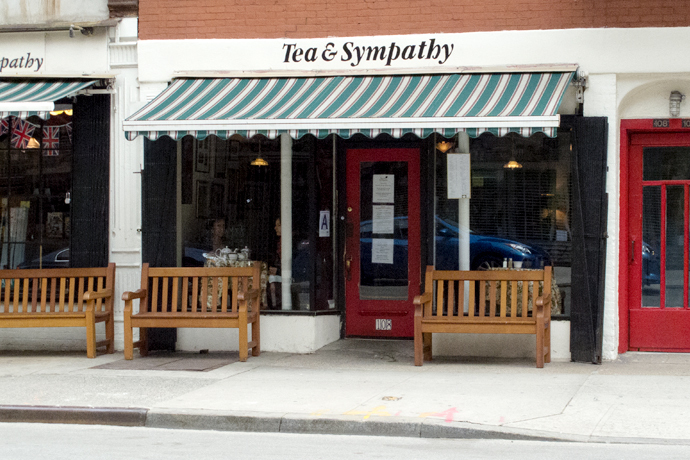 Tea & Sympathy is a no frills, small British restaurant serving British comfort food in New York’s West Village. The tables are super close together and covered in floral plastic tablecloths. 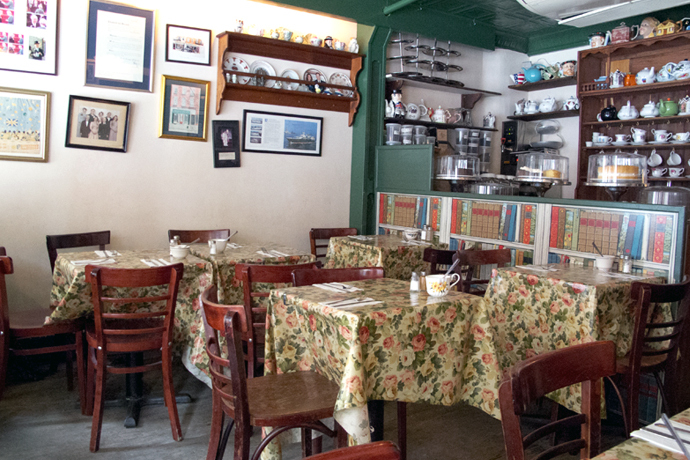 It’s like you walked into a British grandmother’s cozy kitchen. On the menu you’ll find classic British fare like bangers and mash, shepherd’s pie, and sticky toffee pudding. The tiny restaurant fills up fast so be prepared to wait for a table if it’s prime lunch or dinner time and you haven’t made a reservation. They won’t seat you until your whole party has arrived and you can’t waiting inside the restaurant but that’s understandable since the place is tiny. Right next door is their shop, Carry on Tea & Sympathy, where they sell British groceries, chocolates, and a wide range of teapots and teacups. Love their scones as much as I do? You can purchase them, to go, at their shop next door. Comes with clotted cream and jam. Afternoon tea is a light meal in the mid-day consisting of tea sandwiches, scones, and sweets all served with a pot of tea. 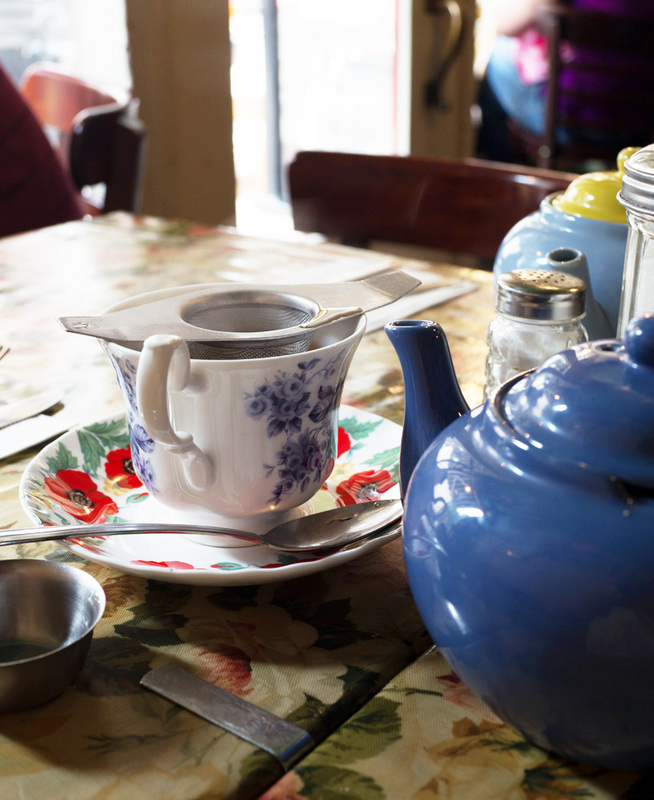 Does Tea & Sympathy Have More Than One Kind of Afternoon Tea on the Menu? Tea & Sympathy offers three afternoon tea options. There’s the Afternoon tea, for one (the traditional for one person), the Afternoon tea, for two (same as for one but with food for two people), and the Champagne afternoon tea, for two. 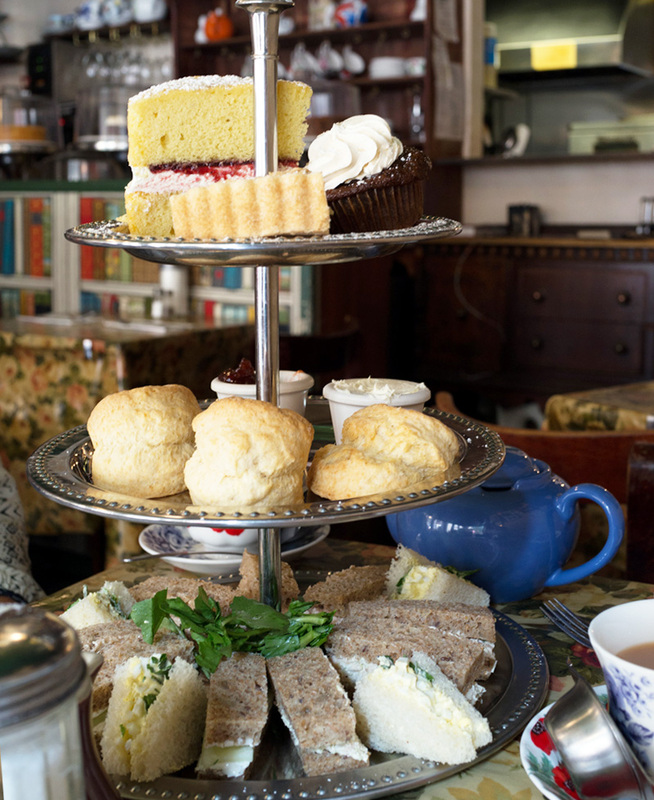 How Much is Afternoon Tea at Tea & Sympathy? Afternoon tea for two is $68 and it’s the same food as Afternoon tea, for one. 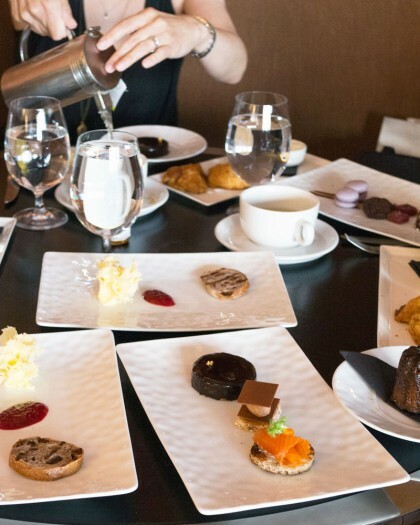 It’s one of the rare afternoon teas in Manhattan that’s under $40 per person. The Champagne afternoon tea, for two is $86 and it’s the same as the above but it includes glasses of Champagne. Do I Need to Make a Reservation for Afternoon Tea at Tea & Sympathy? Reservations aren’t required but I would recommend it since you never know how busy they’ll get. They take reservations for afternoon tea Monday through Friday only. Weekends — good luck getting a table since it’s walk-ins only. You can make a reservation by phone, email, or through Yelp. What Do I Wear for Tea at Tea & Sympathy? No dress code here and it’s very casual so no need to fret about what to wear. Jeans and sneakers are all ok.
How Long is Afternoon Tea at Tea & Sympathy? The afternoon tea isn’t a very drawn out experience at Tea & Sympathy since they are a busy restaurant with limited seating. Usually I say two hours for afternoon tea but here, it’s more like an hour and a half. 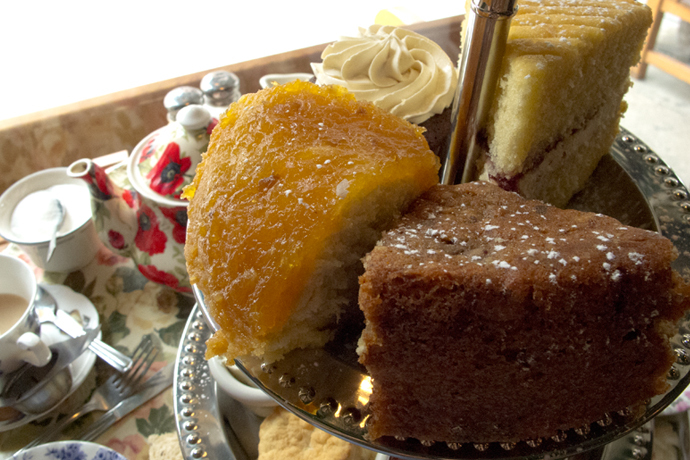 What Time is Afternoon Tea at Tea & Sympathy? 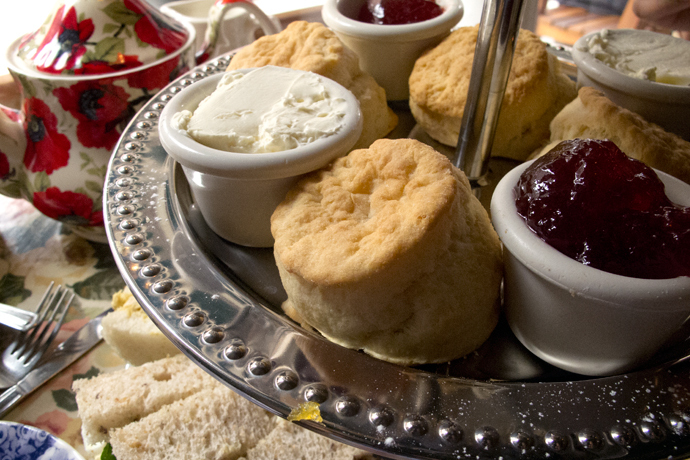 Afternoon tea starts earlier here than most other places and it’s served from 11AM – 5PM, Monday – Friday. 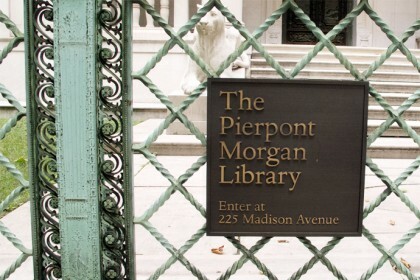 On the weekends, it’s from 1:30PM – 5PM, depending on availability. They recommend that you get there earlier than 4PM just in case they sell out. 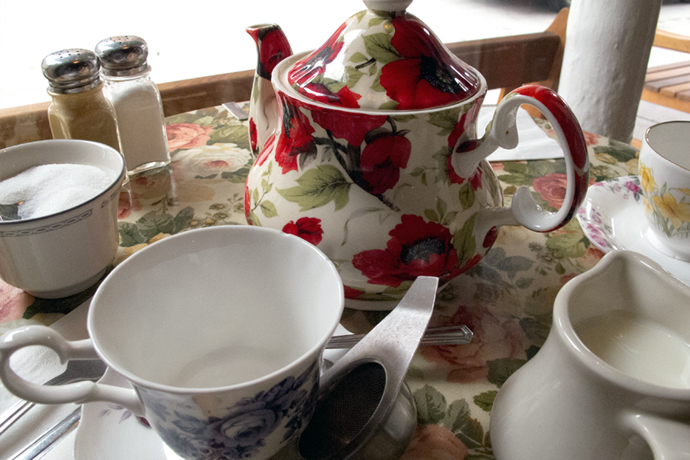 How Does Afternoon Tea at Tea & Sympathy Work? 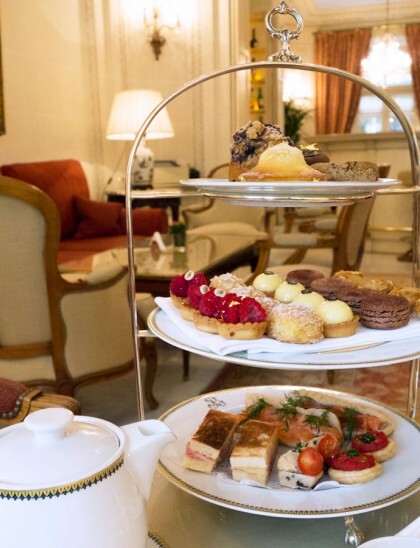 First, figure out if you’re getting Afternoon tea or one (if it’s just you ordering tea service) or Afternoon tea for two (if there’s two of you getting it). I’ve always gone with another person so we order the Afternoon tea for two and all the photos in this post will show a three-tiered tray with food for two. Once that’s decided, pick a tea from the tea menu. When in doubt, I always recommend getting the house blend and there are three to choose from. There is the Tea & Sympathy English Breakfast, the Tea & Sympathy Earl Grey, and the Tea & Sympathy Rosie Lee (a blend of English Breakfast and Earl Grey). Since they’re all black tea blends, go ahead and have it with some milk and sugar. Once the order is placed, the tea will arrive first in a teapot then the three courses of food come out all together on a three-tiered tray. Some may call it quaint, other may call it cramped. It definitely has charm but the tables are very close together. With just 23 seats, the place is tiny, but cute, in someone’s grandmother’s kitchen sort of way — there’s the floral laminated tablecloths, the crooked photos on the wall, and mismatched teaware. The service here is hit or miss — I’ve heard some horror stories about the service but I haven’t personally experienced it. They’ve been friendly and attentive but maybe I was prepared for the worst so it wasn’t so bad. The tea section of the menu shows a mix of teas and it’s not broken down by type, which makes it a bit overwhelming and confusing. They have three black tea blends specifically named after their restaurant: an Earl Grey, an English Breakfast, and a Rosie Lee, a blend of the two. I got the Rosie Lee, which was robust enough for me to have with some milk and sugar. The tea comes out in a teapot and once it’s ready to drink, place the tea strainer on top of your teacup and pour the tea into the strainer. Once your tea is filled 2/3 of the way, remove the strainer and put it on the strainer cup. Leave any loose tea in the strainer and use again to pour more tea into your teacup. Ok, I’m going to start off by saying that their afternoon tea savory course is quite filling. You basically get THREE WHOLE SANDWICHES. That’s a meal on it’s own aside from the scones and the sweets. 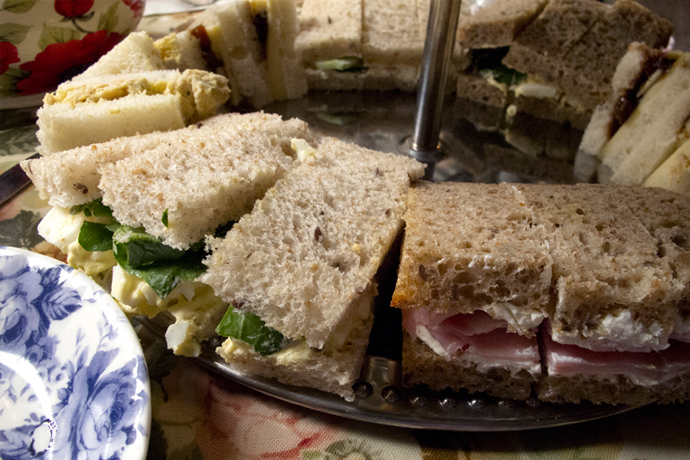 The finger sandwiches are basic, but solid. Tasty and hearty. 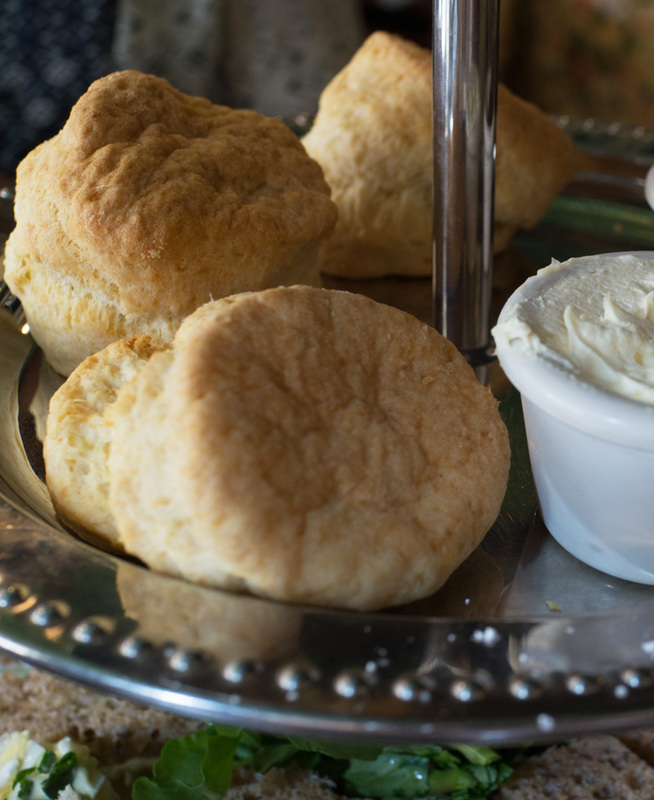 I really like their scones and they’re served with a rich and creamy clotted cream and a not-too-sweet jam. Very very good. You want cake? Oh, you’re getting cake. No dainty two-bite sweets are found here. 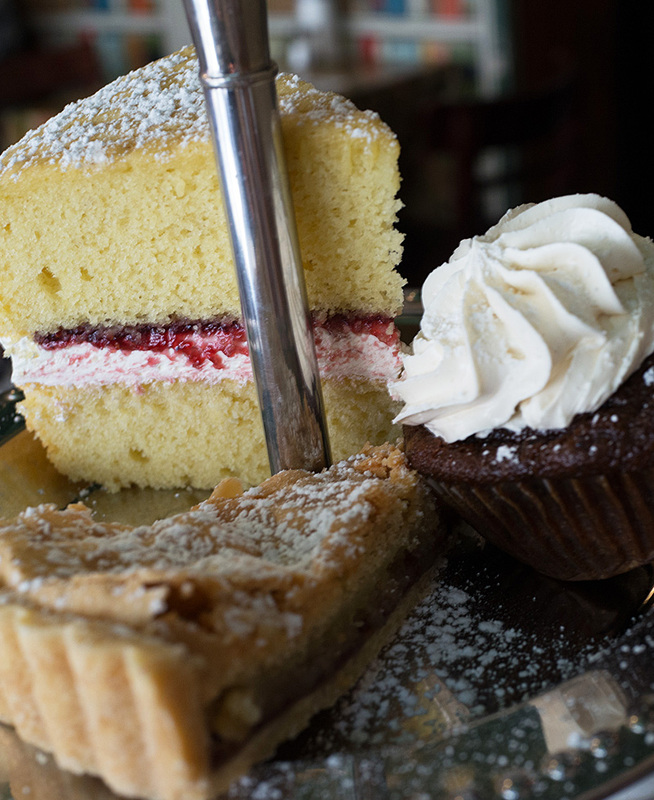 A giant slice of Victoria sponge cake, a cupcake, and a slice of pie. Too messy to eat and not easy to split between two people. It also required the use of utensils which I’m not a fan of when having afternoon tea. Good for a casual afternoon tea in a cozy setting. It’s filling and great for the price but not a relaxing and leisurely affair which is what you expect from an afternoon tea experience. Tea & Sympathy hasn’t changed much since the last time I wrote about them in 2013. Everything looks pretty much the same. Tea was served in the same mix-and-matcha teaware then too. 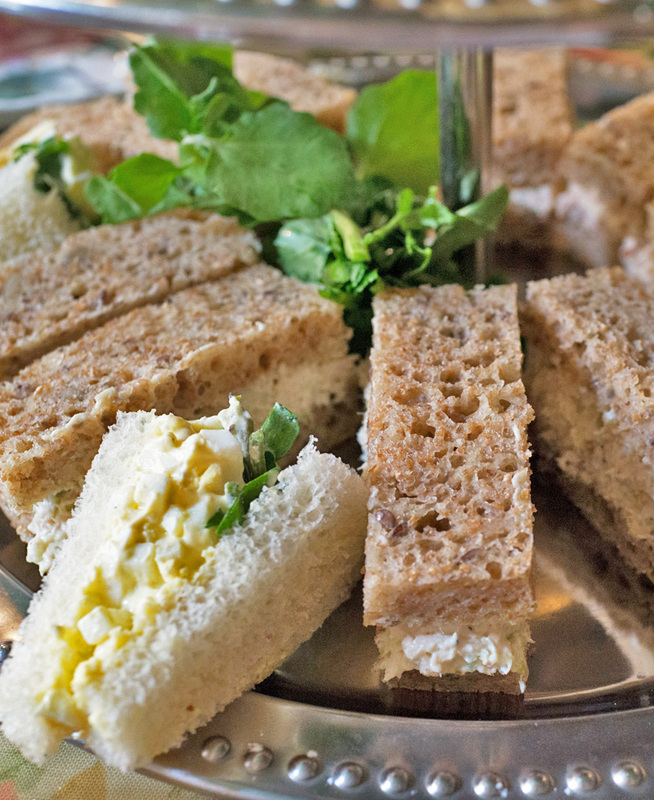 The finger sandwiches look exactly the same. The scones, yup, the same. They were great then too. And the giant slabs of cake. The afternoon tea looks pretty much exactly the same. Back then, the Afternoon tea for one was $36, just two dollars less than it is now. Great photographs, Jee. I'm so glad we went together and can't wait for our next outing. Always great to see you, Georgia! Had a lot of fun today chatting over tea! Had to write and tell you that I used to go there REGULARLY for their shepherd's pie. It is delicious. I stopped going once after being insullted, and it made me sad as I went monthly for that dinner. I do have their cookbook, and I can make it myself. Awww, sorry to hear you had a bad experience there Winnie, but I've heard similar from others. Oh, love your tea party! I like using cookie cutters to cut out tea sandwiches, so the die is a great idea!